Ep 32: Happy B-Day to Ewe! In this episode Kelly takes over the beginning of the podcast to throw Marsha a surprise virtual birthday party! After some fiber adventurer friends give Marsha birthday wishes, the episode resumes with our knitting, spinning and yarny adventures. 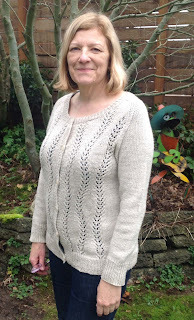 Marsha has finished her Lanata, a lacy cardigan designed by Amy Christoffers. The fit is perfect and she is wearing it while she podcasts! She continues to work on the Crazy Scarf for her brother, using the yarn Stonehedge Crazy. 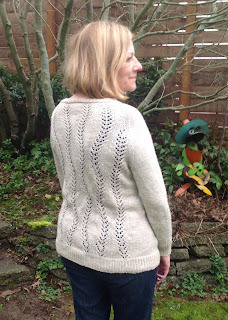 Marsha likes this yarn base so much that she recently added a sweater quantity of Stonehedge Shepherd's Wool to her stash. To round out the knitting categories, Marsha has cast on her Winter Vegetable Garden. Using a book by Susie Johns, Twenty to Make: Knitted Vegetables, she is currently working on the turnip. Fiddly, but small and fun! Kelly has worn her Color Affection Behemoth and has perfected a way of putting it on that involves hooking it to a door and spinning around until it has wrapped her! :-) Warm and cozy during three-hour final exams in freezing cold classrooms. 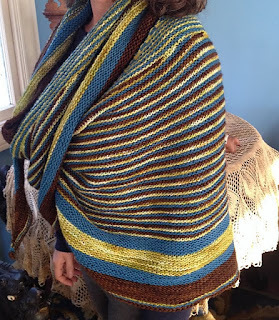 She finished a third crochet project in the Two Ewes CAL. It is Etheria, a cowl design by Julia Trice. The pattern is fun and quick. 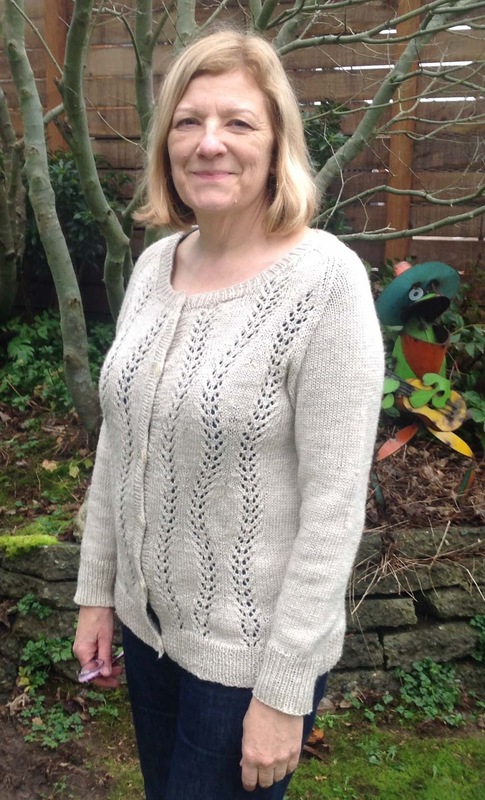 Marsha discusses her recent trip to the Portland area to drop off wool to be processed into yarn. 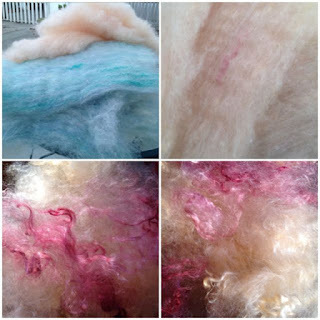 After a tour of the machinery at Fantasy Fibers, Marsha and her brother Mark visited the Goodwill, Pendleton Woolen Mills, and the Pearl Fiber Arts yarn shop. After all that, she and Mark headed to The Dalles, Oregon in search of Glayva, the scotch whisky liquer. Kelly talks about all the fiber she has been carding. The wool is natural colored CVM and it is blended with dyed mohair locks. 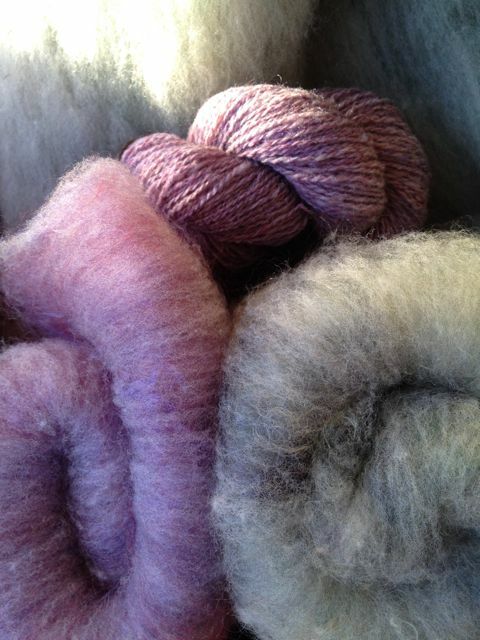 The fiber was all bought locally, at the Monterey County Wool Auction. The batts are lofty, soft, and well blended. 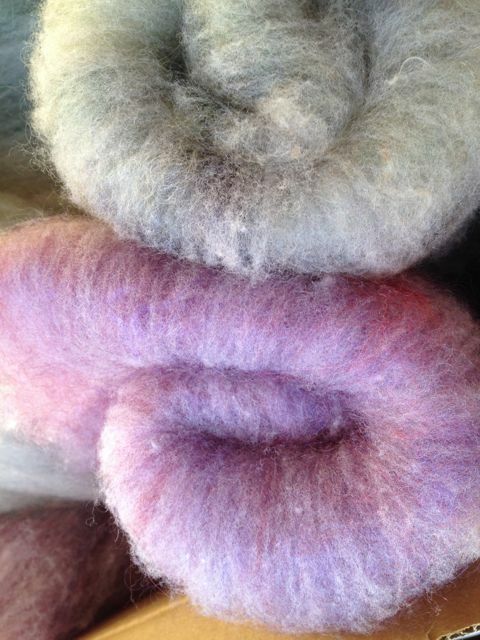 She has also been carding some gray fleece with the mohair locks. 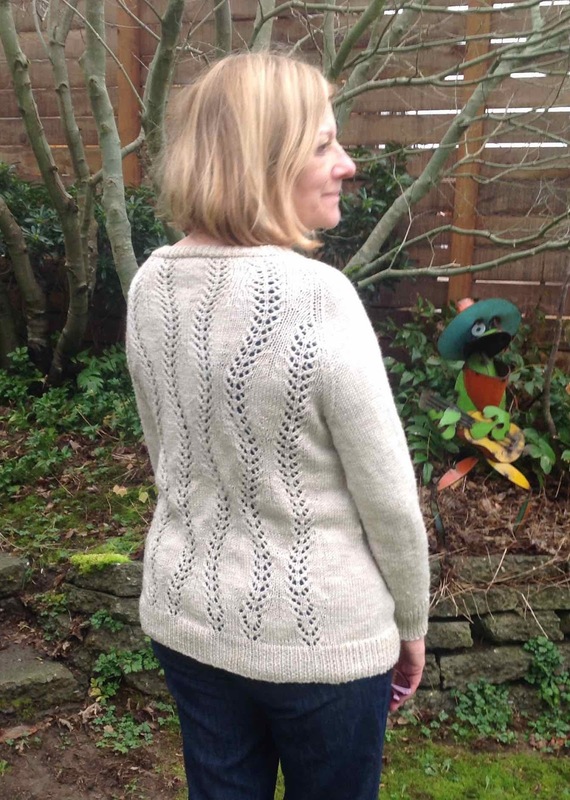 She wanted to share this wooly goodness with listeners and came up with a way to do it! 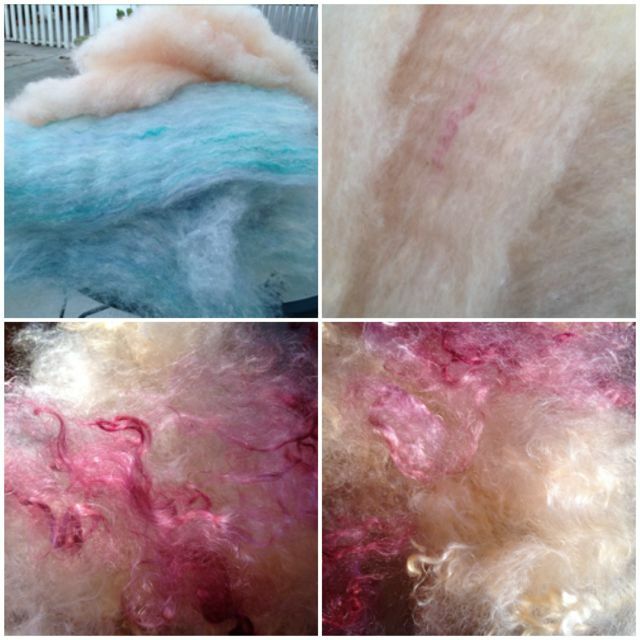 The Two Ewes are excited to offer batts, as well as the handspun mini-skeins made from them, as premiums for any listeners who would like to support the podcast! Any contribution of $15 or more will qualify for the premiums. Kelly will contact you to determine whether to send fiber (two 1-ounce batts) or mini-skeins (two 80-yard minis). If you are interested, please click the donate button!